While working on my project, I've looked at Mecanim for the animation of my AI agents. 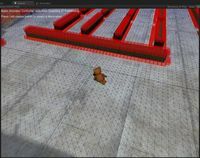 Here is my first try at using Mecanim with Aron Granberg A* Pathfinding Project. step 1 : Take the "Nav Mesh Example" scene from Unity Mecanim Example Scenes. 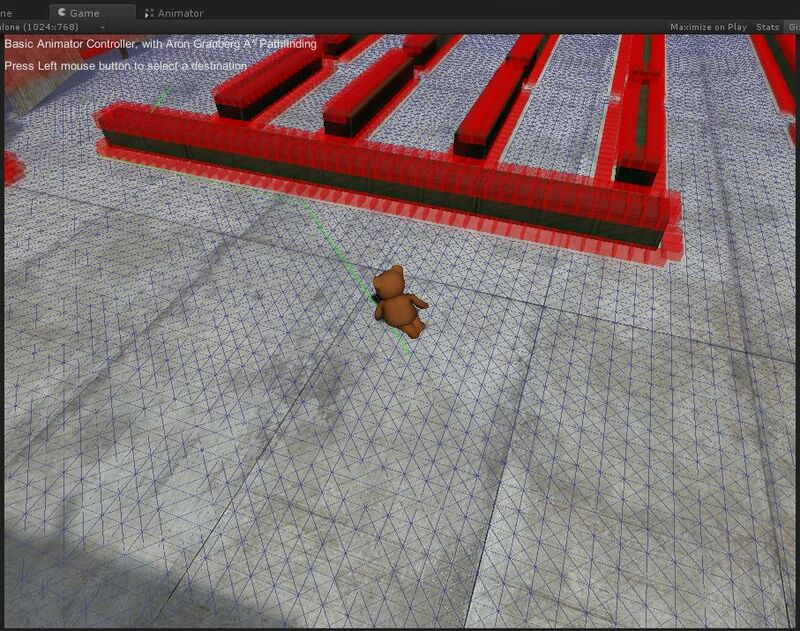 step 2 : Import the free version of Aron Granberg A* Pathfinding in the project, and add a A* Pathfinding graph. For my test, I've used the 3.4.0.5 version, and I've added a GridGraph of 160 x 120 with a node size of 0.4 and with a center at 0;0;0.
step 3 : Create a script named AgentAStar.cs with the code linked.